What makes a wellness program more successful than another? 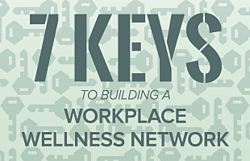 The key is building a network of peers who advocate wellness in the workplace. Peers can significantly influence widespread adoption of wellness initiatives.